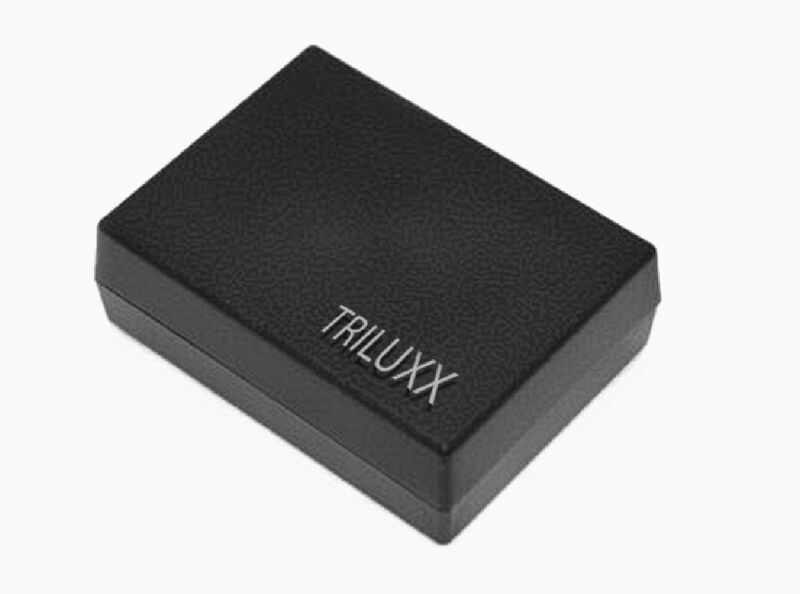 Triluxx is a sophisticated electronic device that transmits low frequencies. It works with all kinds of engines (petrol, diesel, GPL and methane) without interfering with any electric or mechanic components. Triluxx improves the performance of all engines, drastically reduces the nocive emissions and provides an average 20-25% saving in fuel consumption. Triluxx can be installed in any part of the car,close to the engine, and requires only a 12V connection. Triluxx transmits tree low frequencies. The first one works on the cooling water of all kinds of engines (petrol, diesel, GPL and methane) without interfering with any electric or mechanic components. The frequency arrives on the cooling water and by consequence inside the combustion chamber where it looses the intermolecular cohesion of the hydrogen ties, allowing the oxygen to participate more actively to the combustion phenomenon. The final result regards not only a better combustion but also an improvement of the engine performances as well as a considerable restraint of the hydrocarbon consumptions and an extraordinary reduction of harmful exhaust gases such as the carbon monoxide and the HC*. Thanks to Triluxx action into the combustion chamber the oxygen will allow a more homogeneous combustion avoiding peaks of temperature and fostering a reduction of the toxic gases called NOx. Several tests implemented on different kinds of engines (petrol, diesel, GPL, methane) verified the scientific hypothesis and proved all the benefits deriving from an improvement of the combustion as well as an enhancement of the engine performances. On the contrary, the other two frequencies work on the biological damages caused by the electro smog inside the cabin of any types of vehicle. The benefits regards a reduction of the oxidative stress, tiredness and psychophysics fatigue of the individual. The attunement, the equilibrium and the oxygenation of the cells help the individual to keep the concentration and be awake during the time spent inside the cabin.